Don't Miss The Last Chance To See The Nationally-ranked Team At The Cincinnati Gardens This Season! • 7-9 p.m. Thursday, July 17: Join the Cincinnati Rollergirls for a pep rally at the Comet at 4579 Hamilton Ave. in Northside as they gear up for their last home bout of the season against the Carolina Rollergirls on Saturday, July 19. • 8 p.m. Friday, July 18: Find out how modern-day roller derby all began in Austin, Texas in 2001 when the Cincinnati Rollergirls host an exclusive, one-night-only local screening of award-winning derby documentary “Hell on Wheels.” The screening will take place at the Know Theatre, 1120 Jackson St., Over-the-Rhine. Admission is $10 for the screening or $15 for both the screening and a ticket for Saturday night’s bout. You’ll also get a chance to meet the Cincinnati Rollergirls and the visiting Carolina Rollergirls. 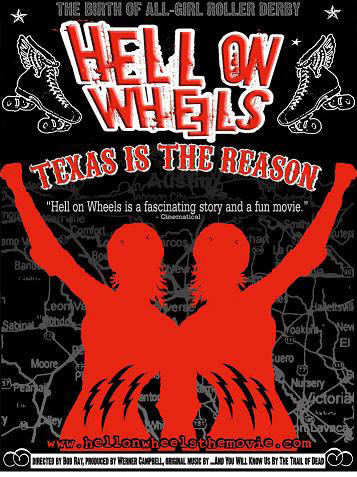 More information: www.cincinnatirollergirls.com and www.hellonwheelsthemovie.com. • 7 p.m. Saturday, July 19: In “Southern Discomfort” at the Cincinnati Gardens, the 26th-ranked Cincinnati Rollergirls’ all-star team, the Black Sheep, will try to knock the 3rd-ranked Carolina Rollergirls’ all-star team down a few notches in the Women’s Flat Track Derby Association rankings. • The Cincinnati Rollergirls’ “B” team, the Silent Lambs, will split into two teams for one night only and play each other in a fun-filled bout tied in with the night’s charity. The teams will be called The Beauty School Drop-Outs and the Demon Barbers. You don’t want to get your hair – or anything else – cut by these ladies! • Midwest Men’s Roller Derby, an all-male flat track roller derby league made up of skaters from Cincinnati, Daytonand all over the Midwest, will make their local debut with a 20-minute exhibition bout. Special pricing is available for children ages 12 and under; $5 in advance and $7.50 the day of the show and all kids 6 and under get in free. Tickets for adults are $10 in advance and $15 the day of the show. All tickets are available at the Cincinnati Gardens Box Office, at all Ticketmaster Outlets including select Kroger stores, charge by phone at 513-562-4949 or online at ticketmaster.com. Parking is free at Cincinnati Gardens for all 2008 Cincinnati Rollergirls events. Special $1, happy hour beer prices will be available between 6 p.m. and 8 p.m.